Very talented artist! He makes music from the heart. 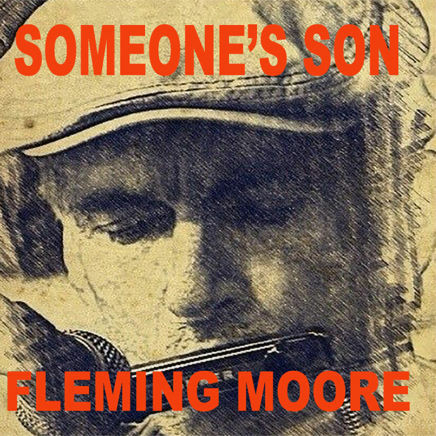 It is hard to find artists like Fleming Moore. He is well polished and is a mix of folk/americana, and a bit of soul. We had a chance to talk to him! Where did you grow up? I grew up in the Low Country Of South Carolina in a small town called Summerville, 20 miles from Charleston. What influenced you to get into music? The music of Bob Dylan, The Rolling Stones and Bruce Springsteen were my inspiration for pursuing music and songwriting. What instruments do you play? I play guitar, harmonica when I perform live, but also play a little piano and a little saxophone. What is a songwriting session like for you? It varies, depending on the inspiration behind the song. Sometimes, I stumble across a melody in a chord progression, and work from there. Other times, I write around a hook or a phrase, and build from there. Some songs come in a flash. Others, days, weeks or years. What made you want to release 3 EPs in a series? Mainly, I wanted to create a body of work that would stand the test of time. The 3 EPs are contemplations that tell a story that begins with a fall from grace and ends in redemption. That being said, breaking the story into 3 releases allowed me to roll them out over time, giving more opportunities for promotion and finally, it fit my budget concerns. There are many different subjects that you sing about throughout the EPs, are these from personal experience? Yes. Where do you generally record? I recorded all 3 EPs at MC Sound Studios in Mount Pleasant, SC. Do you perform live often? I perform weekly at various venues in Charleston, SC and the surrounding area. Are you working on anything new lately? I’m going back into the studio to record a single to add to the 12 songs on the 3 EPs and put them all on vinyl and release them as a LP. What can we expect from you in the future? You can expect a CD called “Bummerville” to be released in 2019. It will be a collection of irreverent songs that are light hearted and less serious than my previous works.